· If she drives her own car, leaving a red rose on her windscreen with a hand note from you explaining that you know words are cheap and that you ask her to give you a chance to show her why the two of you are meant to be together. You need to leave a little hint of a proposed romantic rendezvous that gives enough information to show your sincerity but not too much so as to create an allure. · If she has moved out and is living with a friend/sister or parents, make sure that you do the same but leave it on her/their doorstep at a time you know she will definitely find it. 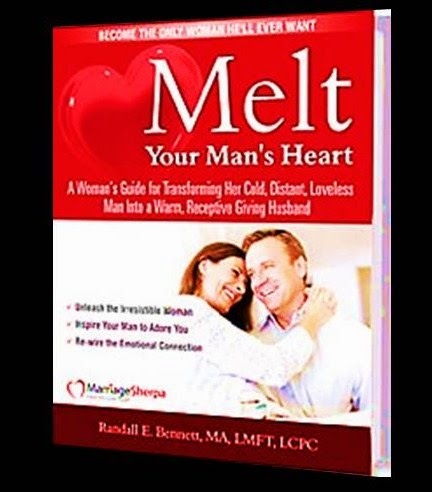 · Ensure you have set the romantic rendezvous for the following evening (which you have planned well in advance) so that she does not have time to get 100 negative input ideas from over-protective friends and family. · Deck yourself out in the most attractive NEW clothes you can find, have a haircut, shave and use an aftershave she cannot resist. · Choose a restaurant that you two have never been to, that is extremely romantic, make sure you book the secluded corner table, even ask for a separate dining room/area if possible and arrive EARLY. · When she gets to the table (which she will if you have done what we tell you), then make sure you stand up as she approaches and treat her like a queen, pulling out her chair, and after you sit down, look at her, drink her in and hold her eyes with yours as you tell her how exceptionally beautiful she looks. Before she can scoff at her compliment (which she might view as a superficial or insincere compliment), rise from you chair, get down to eye-level next to her while she is seated in her chair and put your finger gently on her lips and ask her to just listen to what you have to say before she responds. · Staying where you are, you tell her how much she means to you, what a complete idiot you have been, how having her gone has left a hole greater than all the black holes in space, in your life. Tell her you are prepared to do anything and keep on doing anything for as long as it takes, to prove this to her. · When you leave alone that night (a must in this case), ask her permission to kiss her and then kiss her with hedonistic ferocity that leaves her hungry for more, then gently pull back. · Make sure she has a ride home, whether with you, a cabby or walk her to her car, like a gentleman. · When you get home, text her telling her how much you enjoyed the evening, tell her how beautiful she looked and that you can’t wait to see her again. · Follow up and confirm your next date and don’t leave it too long. There is a reason they call it the “art” of seduction. It involves creativity, patience and time.